Viral Black – the second brand new album release from the Blood Red Viral Black sessions, will be made public exclusively at The Alarm Store from September 22nd onwards. The pre-sale window to order Viral Black will open exclusively at thealarm.com this Sunday September 10th at 1800 GMT. 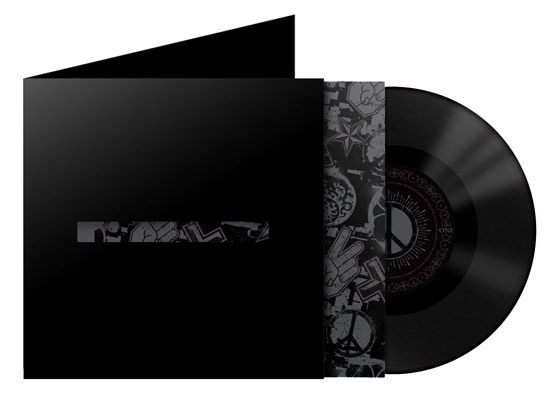 Viral Black will be released in both Limited Vinyl and CD editions featuring 10 brand new tracks including Two Rivers, Peace Now, Cenotaph and Neutral. A Viral Black Film that features exclusive interviews and song performance extracts by Mike Peters, will be broadcast daily at www.thealarm.com from Saturday September 2nd. The nine part serialisation (which begins with Two Rivers), highlights the behind the scenes creative process that gave birth to the songs of Viral Black. 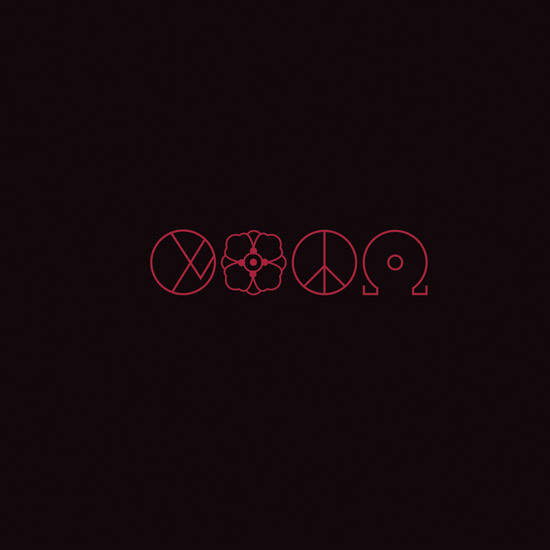 Viral Black presents a collection of all new material produced by George Williams whose credits also include the recently released sister album – Blood Red. NB: No copies will be made available via streaming, digital download or other retail outlets until 2018. 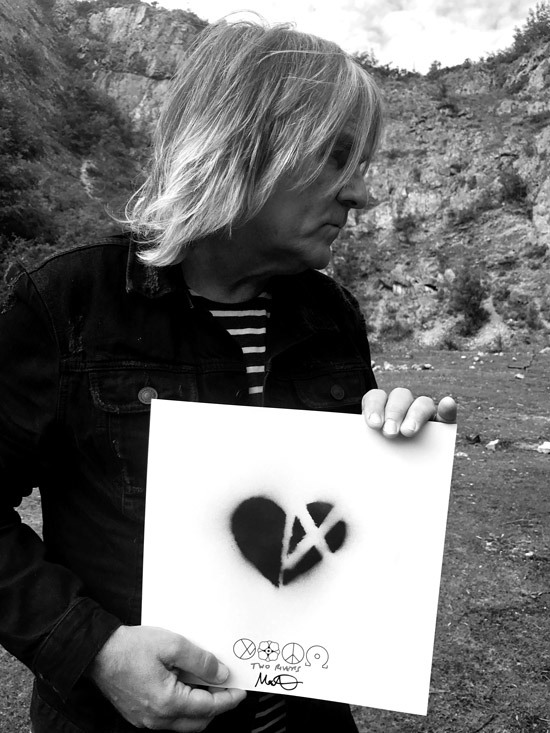 Created and signed by Mike Peters using acrylics, spray and other art materials. 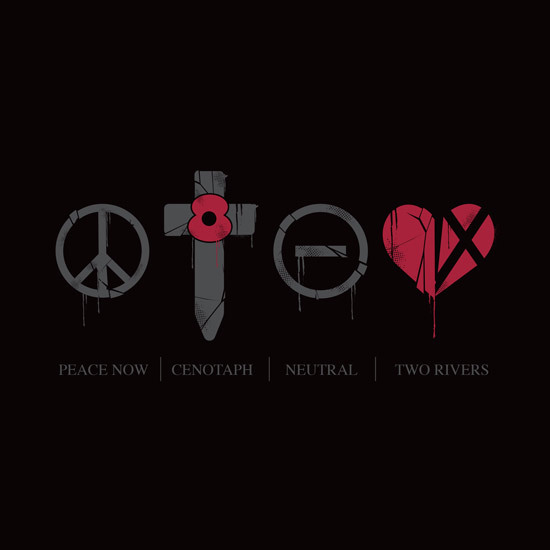 10 songs including exclusive to Vinyl track ‘Amnesty Criteria’ and complete lyrics. Die Cut Gatefold CD Pressing with Inner Sleeve and 12 page lyric booklet. 10 songs including exclusive to CD track ‘Hellfire”. 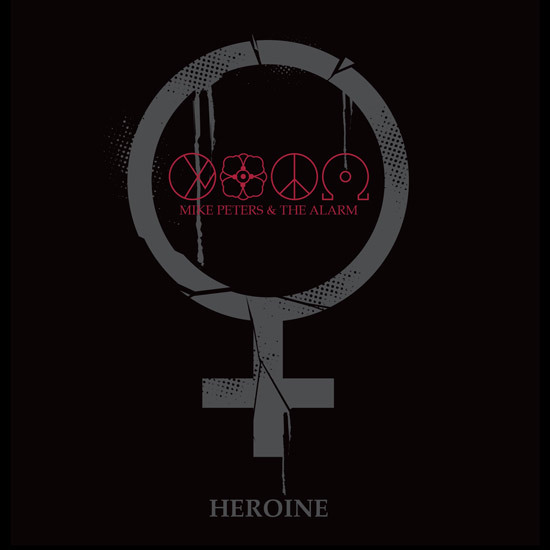 Features an edited version of Heroine and an exclusive unreleased live version performed by Mike Peters on the B-side. Vinyl LP with Die Cut Gatefold sleeve. The serialisation of A Viral Black Film is a made up of 9 episodes that contain exclusive interviews with Mike Peters and acoustic versions of each of the songs that accompany the release of Viral Black. 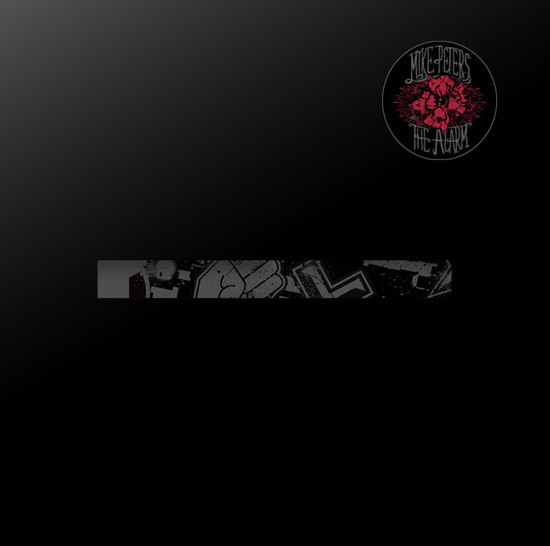 “Viral Black presents a very different perspective to the one listeners would have experienced with Blood Red” says Mike Peters. “With Viral Black the outlook is directed away from the heart, and documents what I see around me as I go about my daily life. The world I inhabit today is obviously very different from the place myself and The Alarm were born into, and with these songs I wanted to explore the world shaped in particular, by all that has happened to me and my family in recent times”. “Outside and inside the home, there’s almost no escape from the graphic images and angry voices that appear beyond the firewalls of our computer defences and into our very own sphere of life, continues Mike. “Like almost everyone I meet these days, I feel the uncertainty of the world at large encroaching upon all we know and understand. It is a reaction to all of this, that has driven the writing and recording of Viral Black. Some of the songs are fuelled with rage and sensitivity, some simply ask why? Some of the words have come from bittersweet experience and from the way life deals the cards. It’s been a cathartic experience to write as openly as I have tried to be with these songs, and I have already felt the thrill of sharing them with audiences in both the USA and UK”. Like it’s sister record Blood Red, Viral Black will display the full spectrum of inspirations that have driven the project including some of which will take form outside of the music itself and spill over and onto the pages of the record sleeve. As documented in the Blood Red Film, Mike Peters has once again created an array of original Viral Black ALARM EMOJI art statements that will feature inside the covers of 100 ultra limited collectors editions. It is these graphic displays of emotion that have helped give birth to the music and lyrical content and become synonymous with the very songs themselves. 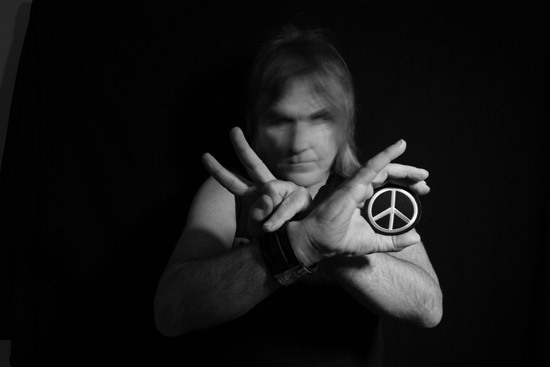 Mike Peters has been creating on and off stage art for all of his live projects since the birth of The Alarm, most notably for 1983’s video of The Stand right up to the more recent promotional film for 2017’s Blood Red anthem – ‘Coming Backwards’.